Safety Banners for Heat Stroke and Heat Stress. 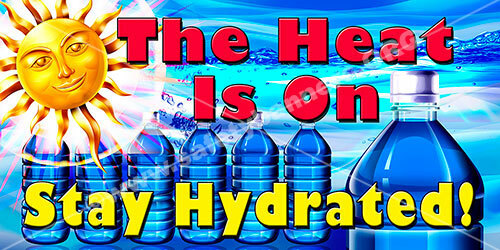 Heat stroke and heat stress safety banners built in Memphis, Tennessee USA. 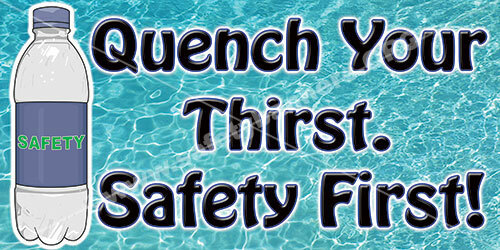 Our Safety Banners for Heat Stroke and Stress are used by most of the Fortune 500 companies! 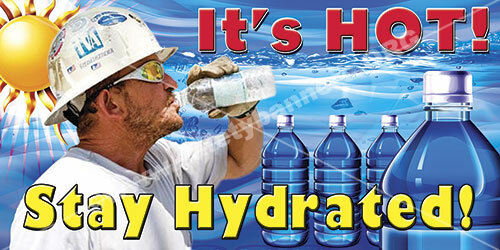 CLICK HERE for all our heat stress and summer hydration safety banners. 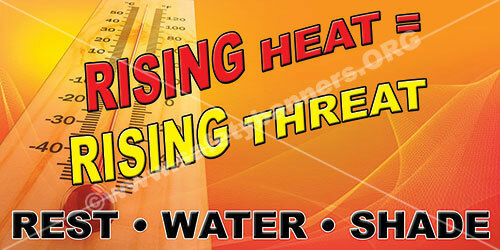 Heat Stroke and Heat Stress Safety Banners - Horizontal – Vertical – we do BOTH. 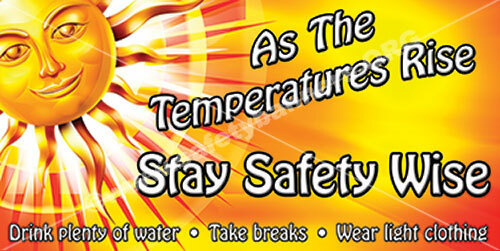 SafetyBanners.Org is the ONLY safety banners manufacturer that offers Heat Stroke / Stress safety banners in BOTH Horizontal AND Vertical Format. Exposure to extreme heat can result in illnesses and injuries. Heat stress can result in heat stroke, heat exhaustion, heat cramps, or heat rashes. Heat can also increase the risk of injuries in workers as it may result in sweaty palms, fogged-up safety glasses, and dizziness. Burns may also occur as a result of accidental contact with hot surfaces or steam. Prevention of heat stress in workers is important. Call 911 immediately and notify their supervisor. 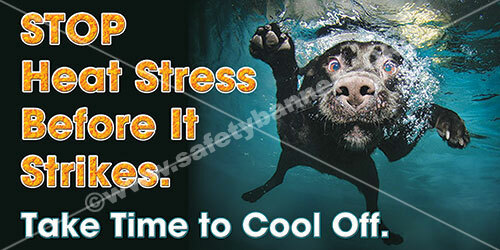 Heat Stroke and Heat Stress Safety Banners help prevent heat stroke and heat stress.